You (morally) should not accept yourself unconditionally; but you (morally) must love yourself! I was shocked to read one post on Linkedin, some weeks ago, in which a counsellor argued that, although he was obliged to act ethically within counselling sessions, he was free to act immorally outside of counselling sessions. The reason I find this shocking is that we social animals depend upon widespread agreement about the standards of civilization, or moral behaviour, to which we will adhere with each other. The Golden Rule, which has been around since ancient China at the very least, states that I must not treat you in ways that would be objectionable to me if you reciprocated. Or, I must not harm you, because it would not be good to be harmed by you, and I logically must not be inconsistent in demanding that you not harm me, but at the same time be willing to harm you (or your interests). Byrne, J. 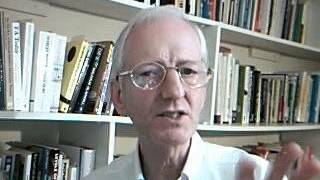 (2010) Fairness, Justice and Morality Issues in REBT and E-CENT. E-CENT Paper No.2(b). Hebden Bridge: The Institute for E-CENT. Available online: http://www.abc-counselling.com/id203.html. Byrne, J. (2010) Self-acceptance and other-acceptance in relation to competence and morality. E-CENT Paper No.2(c). Hebden Bridge: The Institute for E-CENT. Available online: http://www.abc-counselling.com/id206.html. Over the time that has elapsed since the writing of those three papers, above, I have continued to develop my thinking, as and when opportunities have arisen. About two weeks ago, I got an urgent phone call from a man in South Wales. He wanted to come up and talk to me about anger management issues. He had seen my video on anger***, and read some of my web pages. Anyway, about ten days ago he arrived for his appointment. I happened to be outside, saying goodbye to the outgoing client, when he drove up in a big white car. He was driving, and a woman of his own age – mid forties – was sitting in the passenger seat. I could not understand why he had brought his wife with him. Maybe I’d misunderstood. Perhaps they wanted couples therapy. As it happened, he quickly explained that this was his sister, and she would wait in the car for the duration of our counselling session. Naturally, ‘Jack’ (not his real name) had come to discuss some very sensitive issues with me – to do with anger at home and at work – conflict with his wife and his teenage sons. His teenage daughter had left home because of all the aggression, verbal abuse, and so on. And all of this is confidential between me and him – so I will not be going into detail, and even Hercule Poirot or Sherlock Holmes could not identify the real ‘Jack’ from the description given here. I will not go into any detail about the session, save to summarize it like this: Jack had to admit lots of ‘sins’ of violence and aggression which he had committed over a period of years. And now he was awake to how bad he was. The only specific point that I will make is that his father had been violent towards Jack, until Jack was seventeen years old; when Jack was strong enough to defeat him. He thus learned that ‘might is right’ from his father. Recently he has tried to patch up his relationship with his father. He reached out in as loving a way as he could – and his father could not reciprocate. His father’s response, in his account, seemed to be quite autistic. I did not try to get Jack to ‘unconditionally accept himself’, nor to ‘unconditionally accept’ his father. Domestic violence most often involves criminal acts, and hugely immoral acts, which scar their victims – normally the weak and vulnerable members of the family. I taught Jack the errors of his way: of assuming that ‘might is right’, which is the lesson he had learned from his own violent father. I taught him the E-CENT theory of the Good Wolf and Bad Wolf: (See E-CENT Paper No.25 above). I taught him the Golden Rule. I got a commitment from him that he will work hard to grow his Good Wolf, and to shrink his Bad Wolf. (Specifically, to work hard to live from the virtues of love, charity, compassion, patience, and so on. And to avoid the vices of anger, rage, hostility, selfishness, impatience, verbal and physical violence, and so on). I taught him to avoid getting drawn into Drama Triangles – as an aggressive Rescuer – and to create more space in the network of conflicted relationships in his home. I taught him not to kick over the beehive, if he wants to collect honey! Time flew, and soon he was standing by the door about to leave. At that point he turned to me and said: “I brought my sister with me because I thought I’d be in bits at the end of the session. I thought I’d need her moral support to get home”. I looked quizzically at him. “I thought you’d have ripped me to pieces because of all the bad things I’ve done to my family”, he said. “My job is to love you”, I said; “as your father should have loved you. I wish he’d been able to tell you he loved you when you apologized for defeating him all those years ago, when you were a teenager”. My eyes filled with tears of grief. He turned and left the building. I closed the door and the grief burst from me in big, loud sobs. I was crying for all the apparently autistic fathers who cannot reach out to their sons in love. I was crying for all the sons who cannot find it in themselves to love their fathers. I was crying for the little boy (me) who used to stand by the gate every evening as my father came home, got off his bicycle, and walked past me as if I were a lamp post or a gate post which he had seen so often that it was now unremarkable. For all I know, deep in my non-conscious mind, I may also have been crying for all those victims of domestic violence who will go on to offend against others, generation, after generation, after generation. And that was the moment when I connected up the dots. 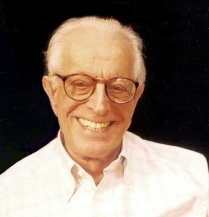 Carl Rogers and Albert Ellis had to import the concepts of ‘Acceptance’ and ‘Regard’ into their philosophies of counselling and therapy, because neither of them knew how to love. I have learned, over a long period of time – and through much therapeutic ‘repair work’ – how to love. How to love myself; my family members; and my clients. The E-CENT concept of one-conditional acceptance really means: “I love myself, and I love you, on one condition. And that condition is that you and I are committed to being good persons. And being a good person means growing your Good Side (or Good Wolf side) and shrinking your Bad Side (or Bad Wolf side). After about three or four minutes of crying, I remembered that there was a big baked potato with baked beans and a large Americano with cold milk waiting for me at Watergate Café. I smiled. Dried my eyes. 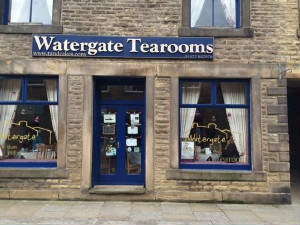 Laughed out loud, and headed off into sunny Hebden Bridge.